Geneva, Switzerland, 22 March 2017 - MSC Cruises, the Swiss-based world’s largest privately-owned cruise line and market leader in Europe, South America and South Africa, revealed today new, highly-innovative dining concepts that will be available first to guests on MSC Meraviglia and MSC Seaside. Designed to meet the needs of today’s cruise guests, the two ships – the first two of a total of 11 new mega-ships due to come into service starting this year, in June and December, respectively - will introduce highly flexible dining options and a choice of dining packages that can be booked at any time prior to embarkation as well as whilst on board. All of which means that MSC Cruises guests can dine as they want, when they want and in an even wider range of speciality restaurants and international dining experiences. 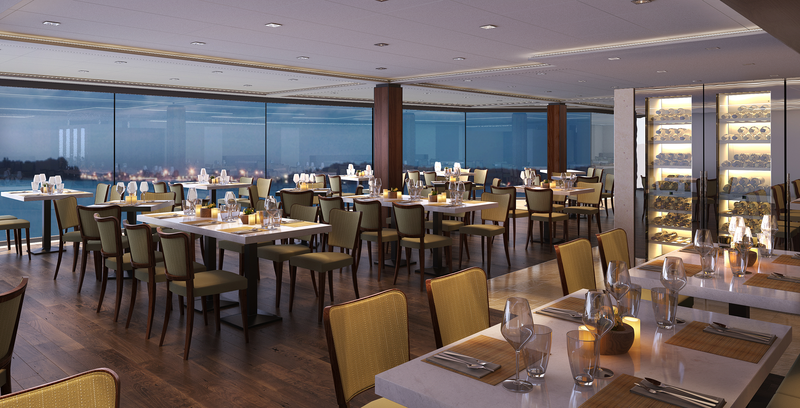 One of the new dining concepts that MSC Cruises is introducing is Flexi Dining . This new dining style allows guests to pre-select a time slot for their evening meal, with the ability to change it at any time during their cruise. This way guests can get the most out of their holiday by more easily adapting the dining experience around their plans for each day. The Classic cruise dining experience will still be available, with a choice of two sittings each evening. This traditional dining style is popular with guests who prefer a dedicated table each night so that they can enjoy personalised service from the same waiter who will know them by name, know their dining preferences and how to accommodate them. This way, they can also socialise with the same guests each evening. 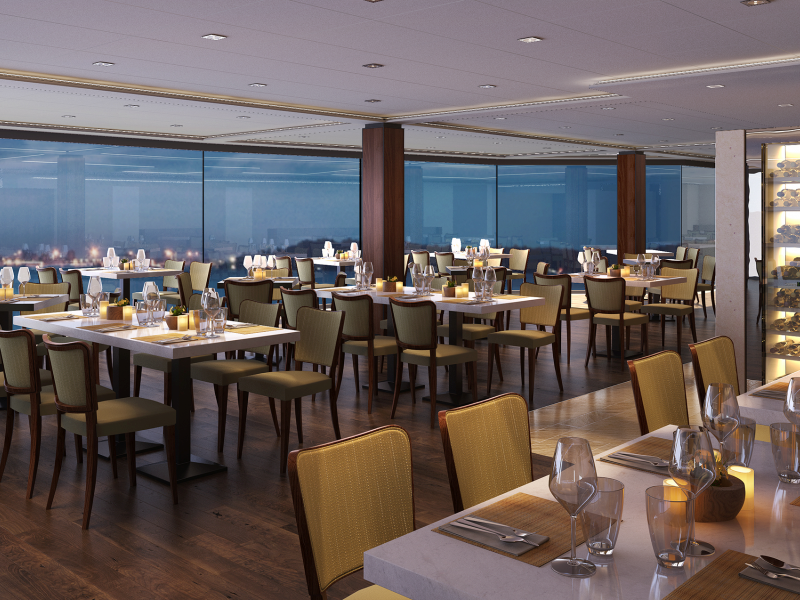 In addition to this, MSC Yacht Club guests will also benefit from free-time dining in the dedicated MSC Yacht Club restaurant, with the option of reserving a table in advance if one so desires. Casual dining venues are available for all guests 20 hours-a-day, offering a wide range of freshly prepared dishes. The MSC Cruises buffet – already one of the richest at sea -- has been further enhanced with a wide range of different international food experiences with dishes to tempt everyone’s tastes. MSC Seaside, in particular, will feature two casual dining venues, one of which will be dedicated to families, serving family-friendly options and featuring child-friendly seatings. Speciality restaurants are another standout feature on MSC Cruises’ ships, one that gives guests the opportunity to experience an ever-growing range of cuisines from around the world even while at sea. To this end, MSC Meraviglia and MSC Seaside will feature restaurants with innovative ‘open kitchens’, following the trend in restaurant design that makes dining a true sensorial experience and that allows guests to see, smell and hear expert chefs at work. Selected restaurants on MSC Meraviglia and MSC Seaside will also feature a Chef’s Table, a dining concept designed for those seeking a true gastronomic experience. Following the success and popularity of the Kaito Sushi Bar hailed as “The Best Sushi at Sea” , serving fresh fish, sashimi and tempura, MSC Cruises will introduce a brand new Kaito Teppanyaki restaurant on board MSC Meraviglia to complement the ship’s Kaito Sushi Bar. With a modern twist on Asian cuisine, guests can sit at the cooking stations to watch their delicious Japanese dishes come to life in front of their eyes. Expert chefs will cook with flare on an open grill – a visual spectacle and feast for the senses with flames and sizzling ingredients all coming together to form flavoursome dishes. Another new restaurant concept will be an authentic American Steakhouse - the Butcher’s Cut, celebrating the craft heritage of America blended with the skilful mastery of the butcher. Guests can select their favourite steak from glass-fronted meat ageing fridges and then watch the skilled chefs preparing their flavoursome fresh dishes in the open kitchen. The wine list is bold and features an appealing selection from the New World to complement the dishes. Cocktails are also inspired by American heritage, while guests can also savour some of the best craft beers. 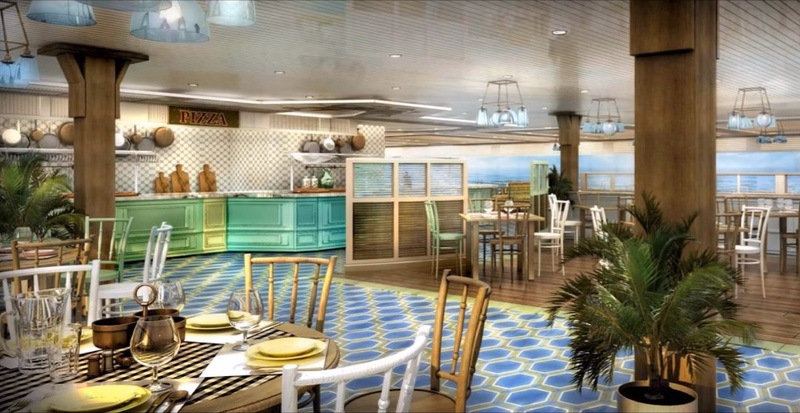 A highlight of the dining on MSC Seaside will be the Asian Market Kitchen by Roy Yamaguchi. The three distinct restaurants created by the innovative Japanese-American chef will consist of an à la carte restaurant serving gourmet Asian creations in a stylish venue with incredible sea views, a Sushi Bar and Teppanyaki Grill, each offering an authentic pan-Asian dining experience at sea. 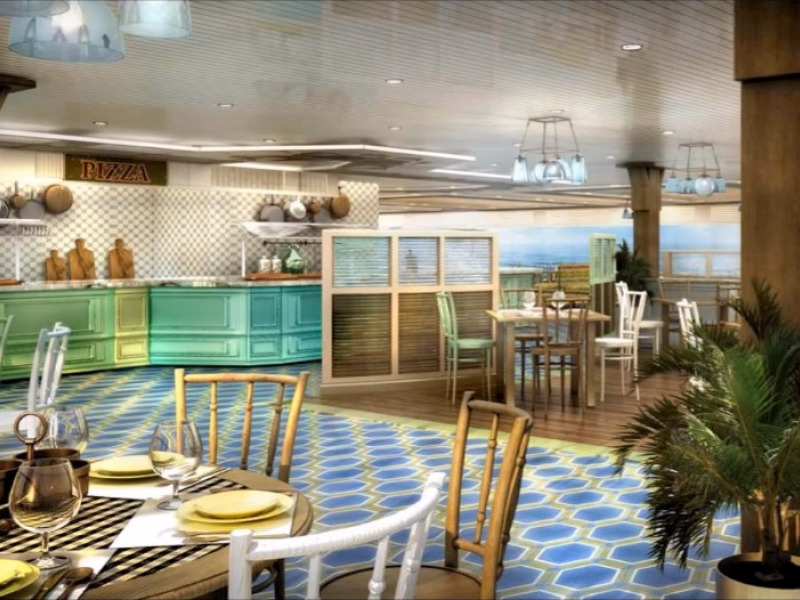 MSC Seaside will also feature signature seafood restaurant, Ocean Cay. This stylish restaurant will serve American-style fish dishes with a Mediterranean twist. A simple menu with delicious signature dishes will include locally-sourced Stone Crabs, a delicacy in the homeport of Miami, beautiful fresh Sea Bass, flown in from the Mediterranean and homemade spaghetti alle vongole (with clams). MSC Cruises is committed to partnering with world-class experts in their fields and the dining experience on the new ships is no exception. The collaboration with world-renowned chef Roy Yamaguchi on MSC Seaside extends way beyond the creation of the menus. As part of the partnership, Chef Yamaguchi will be personally involved in conceptualising and designing every element of the new pan-Asian restaurant, bringing his creative flair and vision to every single detail of the guest’s experience. This includes everything from creating the recipes, menus, selecting chinaware to enhance the dishes, music selection to create the right ambience all the way through to the wine pairings to complement the food and even the choice of the paper stock for the menus. 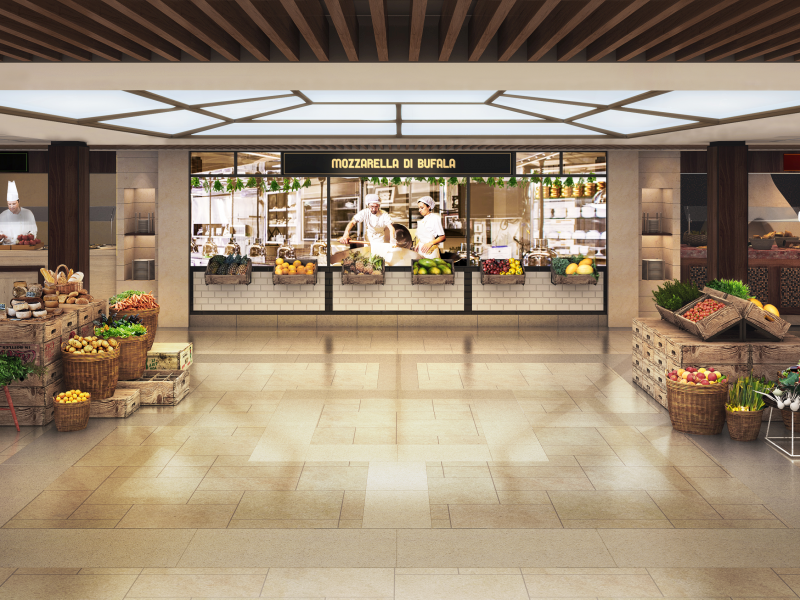 A long-standing partnership with two-star Michelin chef Carlo Cracco will now encompass the development of signature dishes for the main restaurant menus on MSC Meraviglia as well as for the Christmas and New Year menus. Meanwhile, on board MSC Meraviglia, a partnership with award winning French chocolatier and pastry chef Jean-Philippe Maury will tempt guests with incredible sweet creations. Jean-Philippe Chocolat & Café will feature an open chocolate atelier whilst Jean-Philippe Crêpes & Gelato serve tasty treats that can be savoured while enjoying oneself on the ship’s Mediterranean-style promenade. The chef collaborations extend beyond the new ships as part of MSC Cruises’ focus on international fine dining. MSC Cruises is for example collaborating with international Chinese chef, Jereme Leung. Globally recognised for his contemporary interpretation of Chinese cuisine, Chef Leung’s modern approach has long caught the attention of top international restaurant critic and he has brought his contemporary Chinese cuisine to MSC Lirica. Chef Leung collaborated with MSC Cruises to design new and innovative dining concepts tailored to the tastes of Chinese guests, an exclusive range of signature dishes as well as enhancing existing menus with his creative and distinctive flair. • MSC Cruises guests on board MSC Meraviglia will be able to book a Dinner & Show package where they will enjoy an exclusive table d’hôte menu and then experience the breathtaking Cirque du Soleil at Sea performance in the impressive purpose-built Carousel Lounge. • A special dining package is available for the Eataly Chef’s Table on board MSC Meraviglia, which includes a dedicated chef and sommelier for the night, seven gourmet dishes cooked to perfection and all perfectly matched with seven wines – this really is a food lover’s dream. • For those who want to explore each of the speciality restaurants, a special package can be booked in advance meaning guests can benefit from a discount on the onboard prices.